Aidi Ge is a senior partner and head of the trademark group at NTD Intellectual Property Attorneys, which was one of the first four Chinese law firms to provide legal services in the area of intellectual property for both international and domestic clients. 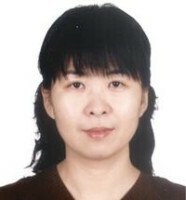 She joined NTD in 1996 and became a qualified trademark attorney in 1998. In her 20-plus years’ practice, she has handled and supervised a large number of trademark prosecution and contentious cases on behalf of both domestic and multinational clients, many of whom are Fortune 500 corporations. Ms Ge’s practice focuses on brand clearance, trademark registration and trademark protection. She has successfully obtained recognition of well-known trademarks before trademark administrative authorities and the courts for a number of international clients. Ms Ge provides strategic counselling to both domestic and international clients. Her rich experience helps her to provide tactical advice tailored to her clients’ individual needs and the Chinese business environment. She is adept at providing practical and efficient solutions to complicated trademark disputes in a cost-effective manner. Under Ms Ge’s leadership, the NTD trademark group has been praised by clients for its “swift response and demonstrated success in cases”. Ms Ge is a member of INTA’s Famous and Well-Known Marks Committee, MARQUES and the China Trademark Association.